Writing for art involves a simultaneous deciphering and re-enciphering. Rebecca has worked closely with artists to find language that translates abstract and conceptual art into engaging and accessible stories. She has developed narratives for Berlin-based porcelain artist Maria Volokhova‘s Top Girls, Still Life Stories, Sus Bonus, and Bestiarium series. Maria’s beautiful work is both whimsical and poignant. Her hybrid creations straddle art and design, and blur the boundary between the physical and fantastical worlds. Rebecca has also written texts for Berlin/Sao Paolo installation artist Fernanda Trevellin. She most recently collaborated with Fernanda on a project for the Festival of Future Nows, a celebration of the Institut für Raumexperimente as the project came to its conclusion. 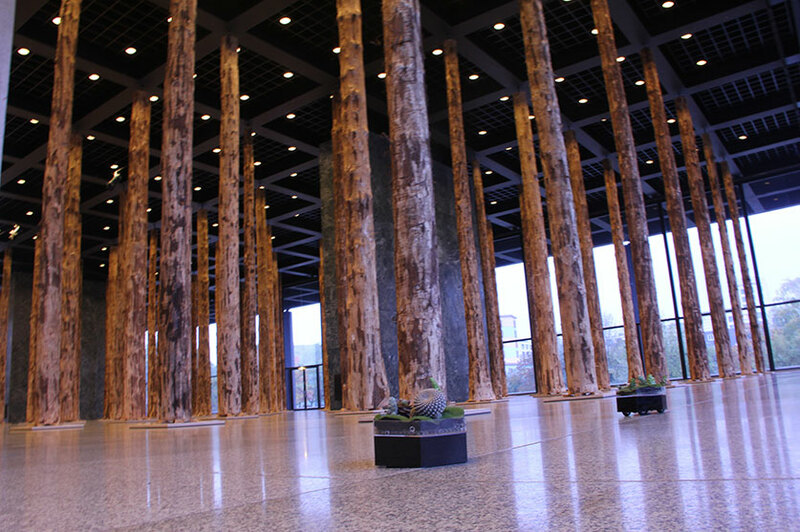 It took place amidst the Sticks and Stones exhibition, curated by David Chipperfield, in Berlin’s Neu Nationalgalerie in November 2014.